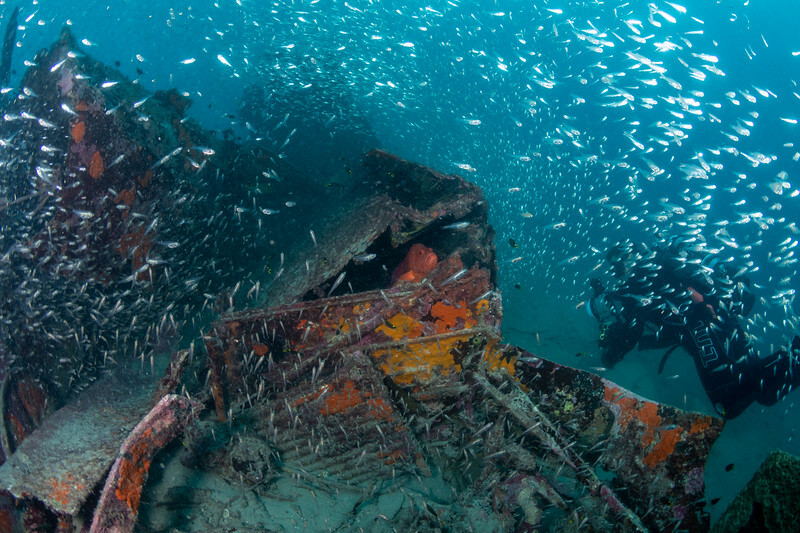 Thought to be the wreck of the Catalina A24-25 that crashed into the sea near Cairns on 28 February 1943 with all lives lost. Found by Kevin Coombs, a local Cairns diver, in 2013, the Catalina lies in 38 metres of water off the Frankland Islands. More about the Catalina here http://www.ozatwar.com/ozcrashes/qld185.htm.